A beautiful metallic contemporary sound wave and lyrics print designed for music lovers everywhere. Personalise with any song for a truly unique gift. Just provide the song title / artist and we will produce your radial sound wave and add the lyrics (we use the whole song to create your original design). Choose the metallic foil and background paper you require and an optional message can also be added to fully personalise the print and make it a gift to cherish. 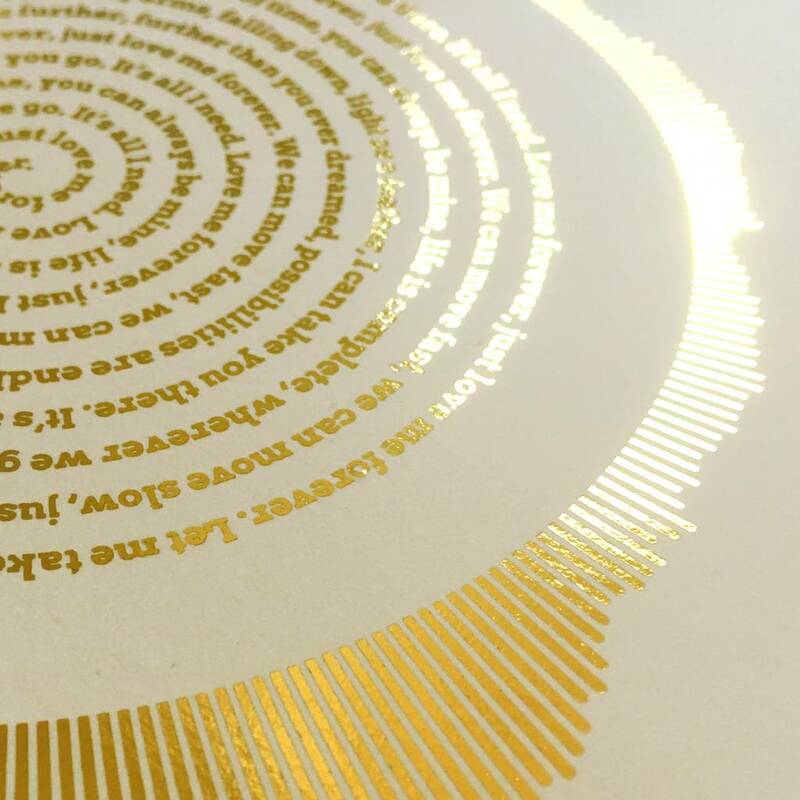 This personalised metallic sound wave print has been thoughtfully designed and created with you in mind, by our hardworking loving team. 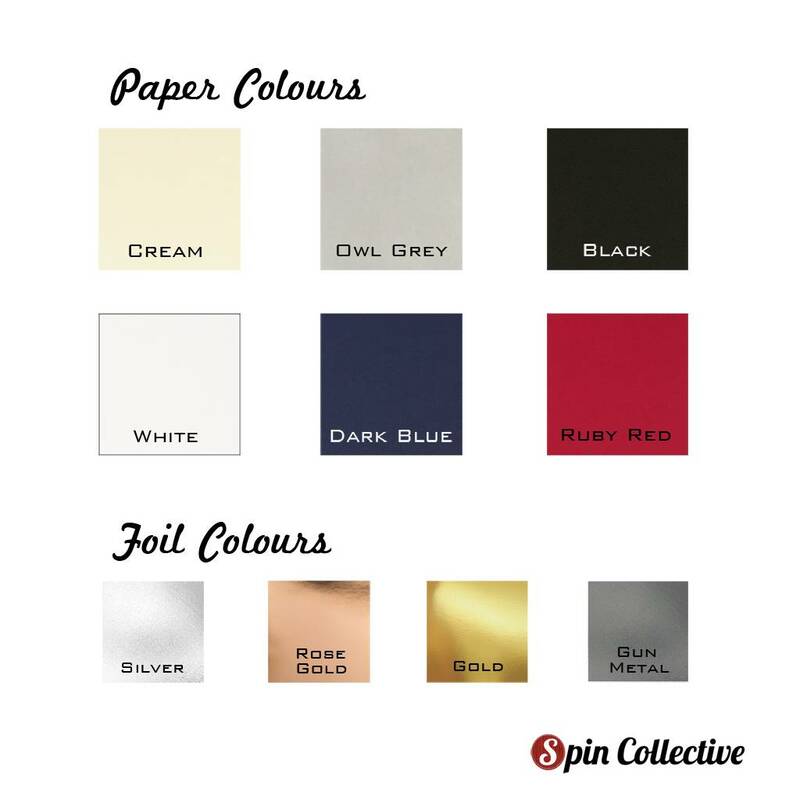 Available in 4 different metallic foils and 6 different coloured papers. High quality coloured paper with hand applied metallic foil. Available in A4 (29.7cm x 21 cm) with an option for a frame in each size. 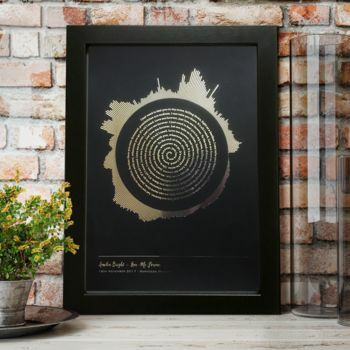 For the framed option, the print will framed in a solid wood 27mm squared contemporary black or white frame (made in the UK by qualified frame makers). The frames external measurements are A4 (34cm x 25cm). This product is dispatched to you by Spin Collective.